Three weeks ago I attended the Christmas Craft Fair, hosted by the Northwestern Regional 7 FFA Chapter, and as usual I had a very good time. The crowds were steady throughout the day and I was lucky to be able to get to the FFA booth to buy some of their marvelous cider. There were almost a hundred vendors there, but because I got to meet so many wonderful people who stopped by my booth I saw very few of them and didn’t get to do any of my own Christmas shopping done. I’m not complaining, it was a very nice day, but I had hoped to bring home some of the gifts on my list from the show. This year I brought my hats back and I’m very glad that I did. 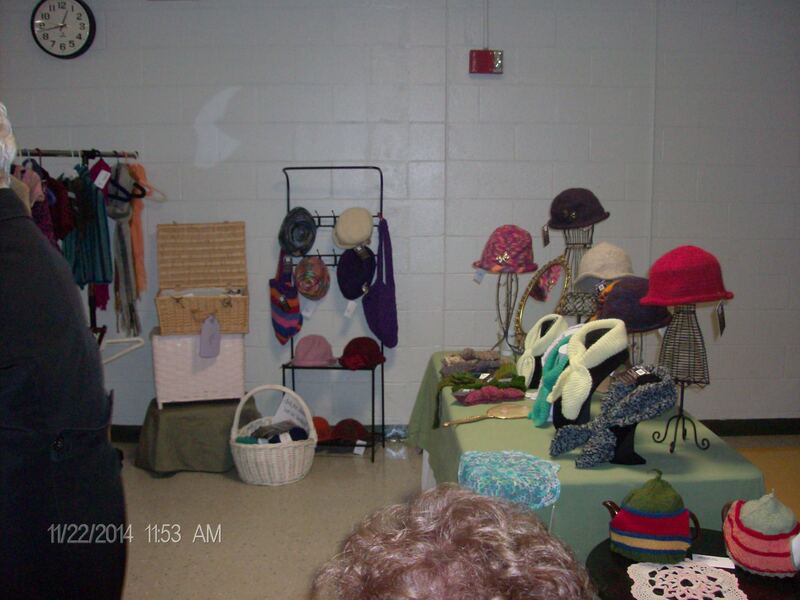 It’s been a busy fall for me working on orders so I didn’t have the stock that I would normally do for this show and the hats fairly flew out of my booth. One young lady wore her hat out and only her grandmother and I got the reference to Minnie Pearl when I removed the tag! I also took some orders for tea cozies in colors I didn’t have made so I will be able to get back into making them as well. 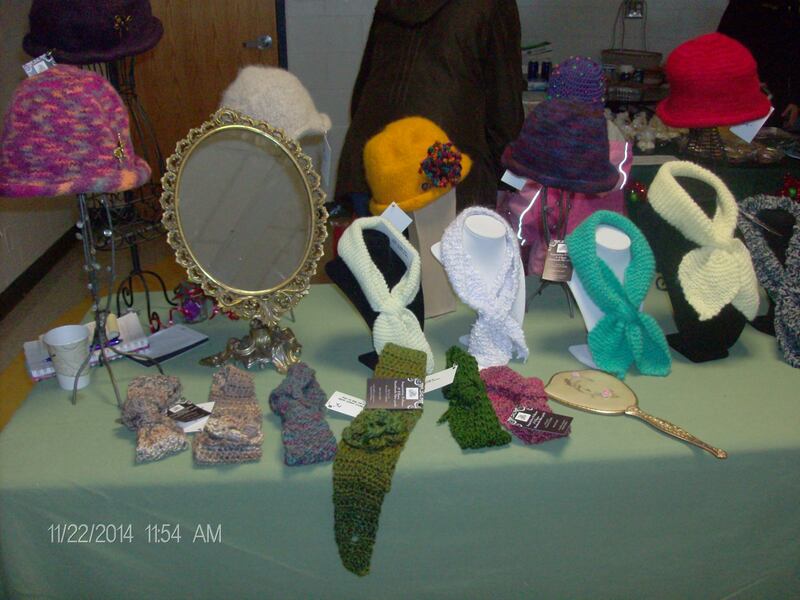 Last weekend I was a vendor at Christmas in Riverton for the first time. It was a lovely 2 day event in spite of the dreary, rainy weather. I again met some lovely people and I really hope to do it again next year. We were set up in the show rooms of the old Hitchcock Chair factory and they decorated the space with trees, wreaths, and lights ahead of time. It was truly lovely. The only regret that I have is that by being a vendor I couldn’t go on the wine tour that they held on Friday night. 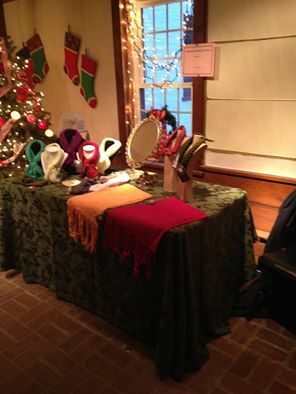 Do you do any of your holiday shopping at Christmas fairs?